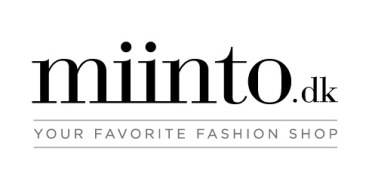 Trendsonline says it’s third time lucky for the online retail fashion platform, Miinto.dk, coming out with a positive bottom line in 2012 – their third year of operation. It was a good year for miinto.dk, from a planned deficit in the millions in 2011, to positive result in 2012. In particular, growth in commissions from online sales went up 388% between 2011 and 2012. Miinto says this result is due to better and better associations with the store over time. Co-founder Konrad Kierklo, is pleased with the result and also emphasizes that it is yet another endorsement of miinto.dk and the whole concept. ‘It is hugely encouraging that we now have black numbers on the bottom line, but it is only a small milestone … we have competed with the big established “normal” fashion webshops with a much smaller margin for each item of clothing sold than them. Now we are out of the fold, so now that run through and growth must be respected.’ Konrad Kierklo, Miinto co-founder. Following Miinto.dk in 2012, they’ve won various awards including Ernst & Young’s “Entrepreneur of the Year” and two e-commerce awards, one of which was “The best tool for e-commerce”. ‘The prizes are obviously a huge pat on the back – and especially because they recognize our core activities online. But the positive bottom line is the best proof that our strategy of deficit and focus on the market in previous years has worked,’ states Kierklo. The outlook for 2013 is very promising for Miinto.dk, and they’ve just launched one of their biggest initatives – the new miintoPOS. The POS system designed to synchronize physical stores stock with their online store on miinto.dk, with the launch exceededing all expectations. During 2013, the system is be rolled out in 4 of Miinto’s present markets – Norway, Sweden, the Netherlands and Spain. Trendsonline say miintoPOS reminds them of the system JustEat has also introduced to keep competitors out of the market, suggesting that with Jesper Buch as an owner of Miinto.dk, you can almost only believe that the inspiration came from him.